Atlantic FilterFalls are one of the best designed upflow biological filtration units on the market. The low maintenance FilterFalls works in two ways to remove wastes. It removes visible suspended solids mechanically by trapping them in the filter pads, clearing the water. One type of bacteria that grows right on the filter pads consumes that trapped organic ooze. Visit our website to learn more about Atlantic FilterFalls. The primary function of the filter is to remove the toxic ammonia and nitrites excreted by fish, converting them to harmless nitrates. This function is performed by a nitrifying bacteria which lives in the filter pads. Without them the fish and animals in the pond would actually poison themselves very quickly in their own wastes. These bateria require a constant flow of oxygenated water and cannot survive drying or washing in chlorinated water. They take a long time to grow and a longer time to grow back. 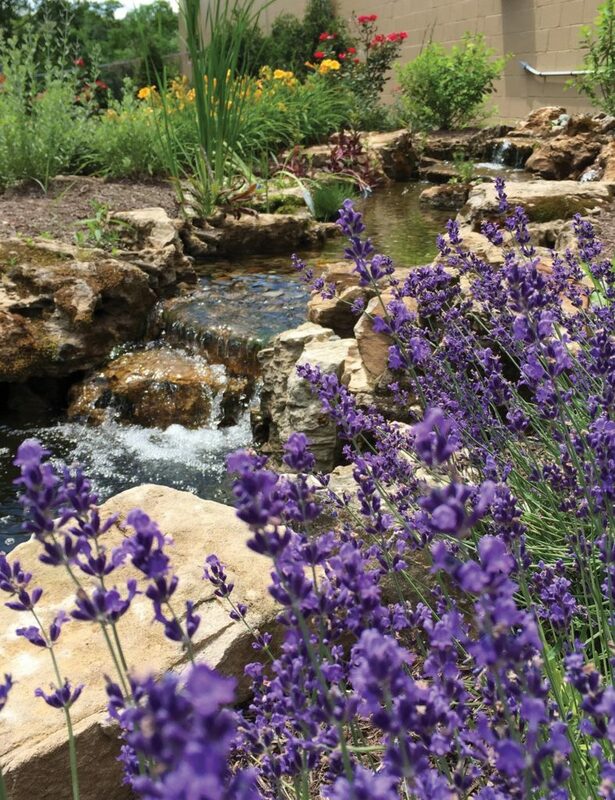 They are essential to the health of the pond. The longer the filter is left undisturbed, the better it will do its job. The filter should not be cleaned more than a few times a year; once or twice a year is typical. Look for greatly reduced flow as an indicator of when to clean it, or wait till the end of the season before closing it up for the winter. 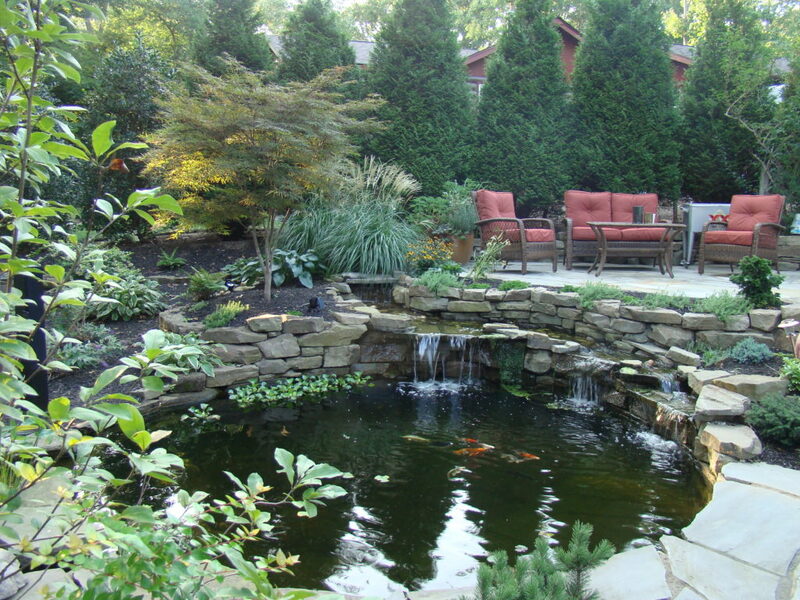 To keep the bacteria alive, take the top pad out and keep it in a bucket of pond water so the bacteria doesn’t die. It doesn’t need to be perfectly clean. Only wash the bottom filter pad in chlorinated water. 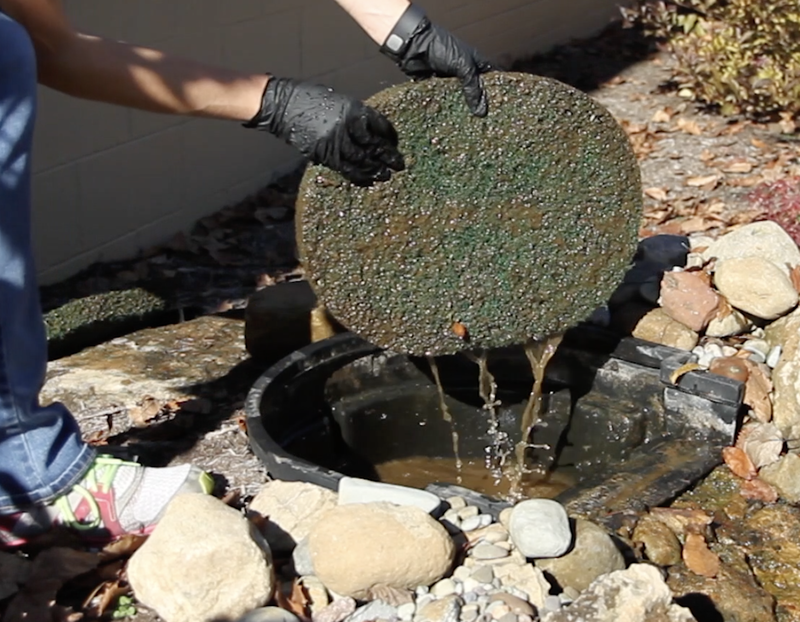 Put the top pad down on the bottom and the cleaned pad on top and fill the filter with pond water. The check valve at the pump will keep the water from draining out of the filter. Reassemble the filter and start the pump. The water from below will help the undisturbed pad reseed the cleaned pad above it, ready for next year. So relax, enjoy your pond and rest assured that your filter is doing its job without much intervention needed.